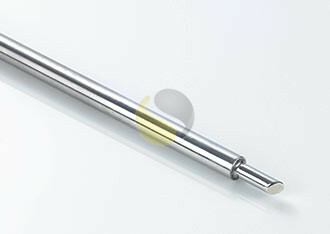 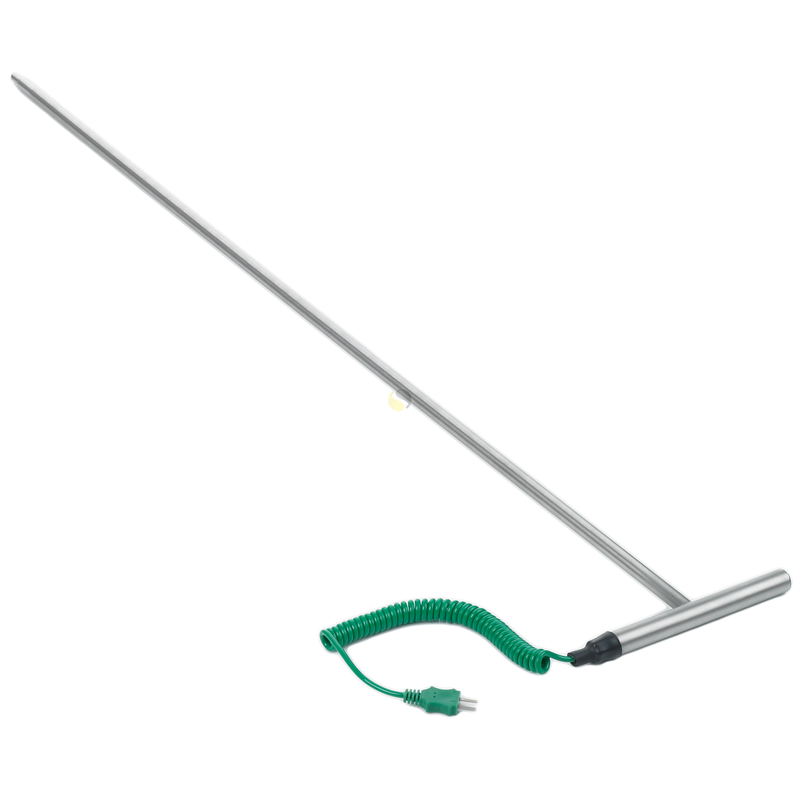 Heavy duty hand held T-Bar thermocouple probe commonly used in Tarmac and aggregate applications. 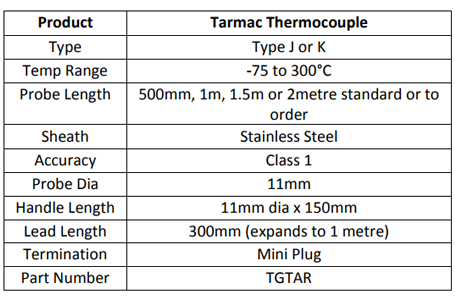 A robust T-bar thermocouple designed for penetration of semi solids, such as; Tarmac, compost, soil, animal feeds and aggregates up to 300°C. 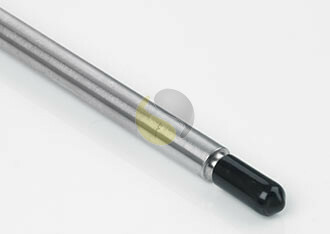 The rigid stainless steel stem is a heavy duty 11mm diameter with a chisel tip designed for penetration. 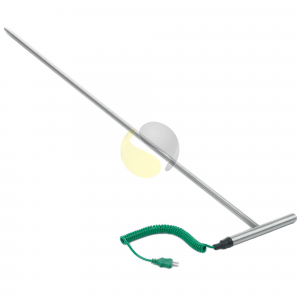 This sensor is available in lengths of 500mm, 1m, 1.5m or 2m and thermocouple types J or K. It includes a stainless steel handle, 1 metre coiled cable and mini plug for use with hand held indicators.